In the spring of 2012, I begged my husband for chickens. I told him I wanted 3 or 4. If they didn’t work out we would just eat them. They were “chicken” after all. No real loss. He finally relented with the stipulation that he wanted no responsibility for them. No problem I said. We ended up with 12 laying hens. At one point we had 16. It’s called “chicken math”. People in the chicken world advise newbies to plan for twice as many chickens as they think they’ll get. It’s a well-known phenomenon. 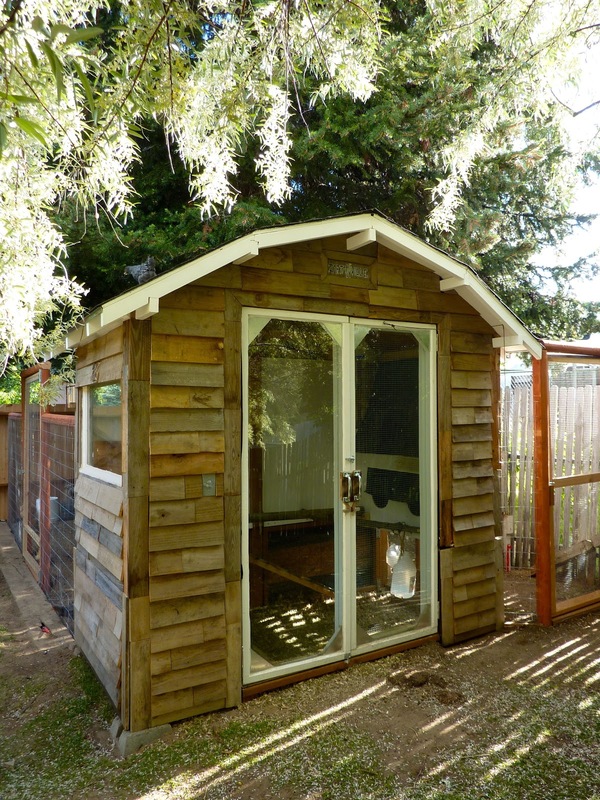 Then my husband built a beautiful hen house to save himself from the frugal eyesore I would have created. By then he had nicknamed me, “Chicken Slumlord” for the temporary housing I had scrounged up out of cardboard boxes and old sliding glass doors for them as they kept growing out of their confines. A little over a year after we bought our last house we sold it and moved. It was a perfect house and we loved it. However, the chickens awakened the wanna be farmer in me and we no longer had enough land. I wanted a cow. I wanted more garden space. I wanted to be able to feed my family off the land. I dreamt of butter, and cream and beef. Of food that ate from my hand. Food that is healthy and happy. I want to feed my two boys and my husband food that tastes amazing because it grew the way God intended. That’s what we’ve experience so far with our chickens. Sometimes it feels so crazy that we sold our 2024 square foot house in exchange for a 988 square foot one 30 miles out of town. The house we moved in to is a 1952 low-ceilinged cinderblock bungalow that had no heating or cooling system. The roof leaked. We had to get a custom construction loan in order to buy it because there’s no bank that would lend money on the home in the state that it was in. But I couldn’t love it more. I can’t really explain it. It’s not just the land. Well, it’s mostly the land but I’ve always liked small houses, too. It sits on 2.37 acres that is bordered by a river and a county road. There’s trees, a pasture, a cabin, a playhouse and a really crappy two car garage with flat roof that leaks worse than the house did. I absolutely love being here. Sound exciting? I know, it sounds more like a lot of work. One step at a time, though. I’ve promised my husband that I won’t get the cow until we both feel ready for her. I did have a crisis of doubt one day shortly after we made our offer. I was worried that I was being selfish. My husband, Daniel, told me that he was happy where he was but that if I wanted to move out of town that he was good with it. That he wouldn’t mind all the work. That he was even excited about parts of it, too. But, at one point, I worried. I worried that I was making this decision all on my own and that I needed to be an adult and put aside my dreams and not drag my family into something stupid. By the time Daniel got home from work, I was full of anxiety. He reminded me that this was our decision. He asked me a simple question, “Do you still want it?” “Yes!” I replied. “Good”, he said. “Let’s go eat”. This entry was posted in Chickens, Family, Happenings. Bookmark the permalink.